David M. Gleason, beloved husband of Kathryn A. Gleason "Katy" (nee Alexander) of Pepper Pike, Ohio; dear father of Michael A. Gleason (Connie) of Chagrin Falls, Ohio; Colleen G. Hanna of Lyndhurst, Ohio; Timothy P. Gleason (Betsy Colie) of Shaker Hts., Ohio; and Alexander D. Gleason "Sandy" of Cleveland; dear grandfather of Jeffrey, Regan and Kevin Gleason; David Hanna (Kali), Andrew Hanna and Kathryn Brideau (Michael); and Jonathon and Thomas Metz; dear brother of the late John F. Gleason. The family prefers that those who wish may make contributions in his name to New Directions, 30800 Chagrin Blvd., Pepper Pike, OH 44124; Stella Maris, 1320 Washington Ave., Cleveland, OH 44113 or The Wounded Warriors Project, PO Box 758517, Topeka, KA 66675. A Celebration of David's Life will be held from 4-7 p.m. Thursday, Oct. 27 in The Country Club, 2825 Lander Rd., Pepper Pike, OH 44124. 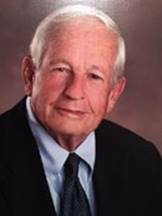 Regis Patrick Griesemer, 76, of Springfield, Mo., passed away peacefully with his family at his side on Sunday, May 22, 2016, at Mercy Hospital. Regis was born on March 30, 1940, to Henry and Josephine (Kalvelage) Griesemer in Springfield, Mo. Regis attended St. Agnes Catholic School (Springfield) through 10th grade, and completed his education at Subiaco Academy in Subiaco, Ariz. Regis was a member of Sacred Heart Catholic Church in Springfield, Mo., for 49 years. Regis was united in marriage on July 17, 1965, to Ann (Francka) Griesemer, had two children Brendan (Susan), and Greg (Kathy), and six grandchildren he adored: Riley Nicole, Nathan Kelly, Matthew Quin, Chase Patrick Gene, Cole Landon, and Cayden Luke. Last summer, along with family and friends, Regis and Ann renewed their sacramental vows and celebrated 50 years of marriage. Regis was a small business owner of Springfield Explosives, Inc., and a technical consultant for Explosive Energies for 37 years, from where he retired in 2005. He provided technical and design support for explosives engineering. Regis was a nationally recognized expert in the field of explosives. Regis proudly served in the United States Air Force where he was stationed in Saudi Arabia and England. He served on the Springfield Catholic School Board, Sacred Heart Parish Council, and was a member of Sacred Heart choir. 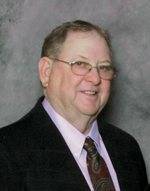 He served on the board of directors and was a past president of the Ozark chapter of the Society of Explosives Engineers. He was presented with the coveted Extra Mile Award from the Missouri Limestone Producers Association for his exemplary service to the association. Regis will be remembered as a kind-hearted man that exemplified the teachings of Jesus. Regis welcomed everyone into his family with open arms, he cared and provided for those in need, and loved deeply. Regis had a spirited personality that never slowed down. His personality was seen and felt wherever he was and through those lives he touched. His sense of humor and practical jokes kept family and friends anticipating, yet not surprised by his words or actions. Regis enjoyed golf, traveling, hunting and fishing. Most importantly, Regis will be remembered deeply in the hearts of those that love him as a man strong in his Catholic faith, true to his word, and provider and protector of his family. Regis was Ann’s soulmate and best friend; Brendan and Greg’s mentor and confidant; a gentle and fun loving grandfather; and a loving father-figure to many. Regis was preceded in death by his parents, Henry and Josephine Griesemer; brother, Jude Griesemer; and sister-in-laws, Phyllis Griesemer, and Patricia Griesemer. He is survived by his beloved wife Ann; sons Brendan (Susan), and Greg (Kathy); six grandchildren, Riley, Nathan, Matthew, Chase, Cole, and Cayden; sister, Marcia (Griesemer) Bramer; brothers, Damian (Beth), Dennis (Mary), Kevin (Pat); many nieces, nephews and friends. Family and friends will celebrate Regis’ life and legacy beginning with a prayer service at 5:30 p.m. on Wednesday, May 25, 2016, at Sacred Heart Catholic Church, Springfield Mo., followed by visitation from 6 p.m. to 8 p.m. His celebration of life will continue on Thursday, May 26, 2016 at 10:30 am, at Sacred Heart Catholic Church. A mass will be celebrated complete with the Holy Eucharist, which was very important to Regis. Regis will be laid to rest at 3 p.m. Friday, May 27, 2016, with military honors at Missouri Veterans Cemetery, Springfield, Mo. In lieu of flowers, memorial contributions may be made in Regis' memory to Sacred Heart Catholic Church. Arrangements are under the care Herman Lohmeyer Funeral Home, Springfield, Mo. John Francis Zimnox, 58, of Kanawha City, left this life Tuesday, May 3, 2016, at CAMC General Hospital after a sudden illness. John was born Dec. 22, 1957, in Steubenville, Ohio, the son of the late Walter "Duke" and Genevieve (Zarych) Zimnox. He was also preceded in death by his brother, David. He is survived by his love and wife, Amy S. Haden, whom he married at Christ Church United Methodist; sons, John Walter and his fiance, Brandon Adams, Corey Mitchell, Zane Anthony Zimnox, Wil Conner Sorrells and his fiancee, Marjorie Coy, and Matthew Grayson Sorrells; daughters, Cassie and Meg Sorrells; brother, Dennis Zimnox; sister, Michele Barnes, and brother-in-law, Todd Barnes, of Mingo Junction, Ohio; along with nieces, nephews, cousins of the extended Zimnox-Zarych family and friends who were his family. He was a member of St. Agnes Catholic Church in Kanawha City. John graduated from Steubenville Catholic Central High School in Steubenville, Ohio. 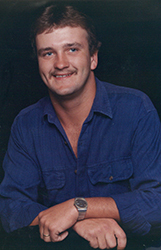 In 1980, John graduated from The Ohio State University, earning a bachelor’s degree in mining engineering. John was a 35-year employee of Dyno Nobel, serving as a sales account manager. He was a member of the International Chili Society, and frequent winner of first place prizes with bragging rights for his renowned green and red chilis. He served on the board of directors for the Mountaineer Chapter of the International Society of Explosives Engineers and was a member of the Society of Mining Engineers, the Explosives and Blasting Stakeholders Committee and the Quarry Stakeholders Committee. John was a man who protectively loved his family and friends. He had an immense passion for life: cooking, landscaping, dancing, mushroom hunting, wine, holiday decorations and service to his neighborhood, community, church and his work. He helped others by fixing things, listening and giving good counsel. He made this life a joy to those who knew him. A man known for his humor, storytelling, riddles, laughter and teasing. He was a father to many who came into his life, a gentleman, intelligent and kind to all. He will be missed deeply by those who had the honor to know him. In lieu of flowers, his family requests that all live a life that reflects John's and rejoice that he lived with us. A Funeral Memorial Mass will be held at 11 a.m. Saturday, May 7, at St. Agnes Catholic Church with Father Joseph Augustine officiating. The family will receive friends from 6 to 8 p.m. Friday at Harding Funerals & Cremations. Condolences may be sent to the family by visiting www.hardingfamilygroup.com. The family requests personal messages in lieu of social media. Harding Funerals & Cremations, 514 50th St. SE, Kanawha City, is serving John's family. Funeral service for Daniel Garrett Eakes, 45, of Unionville, Tenn., will be at 1 p.m. Thursday, May 5, 2016, at the Higgins Funeral Home. Burial will follow in Flintville Cemetery. Danny passed away Monday, May 2, 2016, at the Huntsville Hospital. Danny was a native of Lincoln County, Tenn., the son of Thelma Ruth Dennis Eakes and the late Columbus Lincoln Eakes. He was the owner of D.J. Drilling and Blasting. Survivors include his wife of 6 years Ruth Eakes of Unionville, Tenn., daughter Katelyn (Cody) Allen of Fayetteville, Tenn., step-children Blake Wendel and Kelsey Wendel, mother Thelma Ruth Eakes of Fayetteville, Tenn., brothers Leon (Gayle) Eakes, David Eakes all of Fayetteville, Tenn., Jeff (Kim) Eakes of Flat Creek, Tenn., Dwight Eakes of Fayetteville, Tenn., sisters Mary Jo (Bob) Clark of McBurg, Tenn., Jeraldine (late Charlie) Alford of Tullahoma, Tenn., Diane (Ricky) Sells, Tammy (Gary) Williams all of Fayetteville, Tenn., and numerous nieces and nephews. Along with his father, he was preceded in death by son Garrett Kaleb Eakes, brother Larry Dale Eakes, sisters Linda Faye Bailey and Barbara Ann Eakes. Visitation with the family will be Wednesday evening from 4 to 7 p.m. at Higgins Funeral Home. Dale L. Ramsey, 63, of Rimersburg, Penn., passed away Friday, April 15, 2016, at Penn Highlands Hospital, DuBois. He was born October 31, 1952, in Madison Twp., Clarion Co., Penn., the son of Minnie L. (Bowser) Colwell. 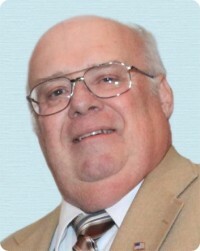 Dale was a lifetime resident of Madison Township and graduated from Union High School in 1970. He continued his education at Virginia Tech and Penn State. After graduating Penn State, he was the founding member of the International Society of Explosives Engineers (ISEE) Penn State University Student Chapter, where he continued as an industry advisor and was a true mentor to the students within the program, also assisting with job placement. For over 42 years, he was the general manager at Senex Explosives, Inc. Dale was a member of the ISEE and served as the organization's president for two years. He also attended the Wildcat Wesleyan Methodist Church and in his spare time enjoyed flying drones and taking aerial photography. He will be deeply missed by his mother, Minnie L. Colwell, of Rimersburg; companion of 10 years, Shirley Miles, of New Castle; Shirley's children, Cindy and Stacey; Shirley's grandchildren, Jessica, Mackenzie, Haley and Anne Marie; aunts, Joan Custer and husband, Ronald, of Rimersburg, and Jean Drayer and husband, Hardee, of Sheakleyville, Penn. ; and West Highland Terrier dog, Boomer. Dale was preceded in death by his step-father, Herman A. Colwell; grandparents, Jeremiah and Nancy Bowser; uncle, Clarence Bowser; and aunt, Blanche Bowser. The family will receive friends from 2-4 and 7-9 p.m. Monday, April 18, 2016, at Bauer-Hillis Funeral Home, 758 Main Street, Rimersburg. Additional visitation will be from 10 a.m. until the time of the funeral service at 11 a.m. on Tuesday, April 19, 2016, at the funeral home, with the Rev. Mark Deeter officiating. Burial will be in Rimersburg Cemetery, Rimersburg, Pennsylvania. Contributions may be given in Dale's memory to the Wildcat Wesleyan Methodist Church, PO Box 636, Rimersburg, PA 16248.